1) Working closely with clients, IBM Sales and business partners to understand customer data integration, warehousing and governance and master data management requirements. 2) Leading the architecture of IBM Information Management solutions to meet the customers requirements using IM products and services: InfoSphere, Industry models and and warehouse offerings and Master Data Management products. 3) Ensuring customer success by assisting customer and partners in developing robust plans for the solutions' delivery. In addition to pre-sales for the core data management, integration and warehousing products the CTS will play an important role in positioning his/her products as a platform to support IBM Business Analytics and Optimisation (Cognos) solutions. If you’re looking for an internship during your degree, a summer internship or a graduate job, IBM offer first-class opportunities for top students and graduates. Immersed in leading-edge technologies and with strong ties to academia you will continue to learn and contribute to the innovations emerging from the lab. As part of a matrix organisation with a strong mentoring ethos you are encouraged to excel within a team that promotes risk taking and rewards success. You’ll get to work in a friendly but fast paced environment with talented and inspirational colleagues. Our focus is on delivery, not so much on when and where you work, so you’ll experience a level of flexibility that many other companies just can’t offer. • Experience in the use of Automation test tools such as Rational Functional Tester, Rational Performance Tester, LoadRunner, Performance Centre, Selenium etc, and/or through the use of custom developed tooling with Java, XML, PERL, PHP, Python, Shell scripting etc. IBM is the world’s biggest technology company with multiple offerings to its client base. Uniquely in the industry we are able to provide integrated solutions and offerings to meet customer needs. With 400,000 employees worldwide, this year will be the 100th anniversary of our foundation in 1911. So it’s a great place to start to build a career, in a company that continually re-invents itself. Our latest initiatives include Cloud Computing and next-generation Data Centre services, Smarter Planet which focuses on integrated infrastructures and beyond. These all build and develop enhanced capability in a company with an incredible history of innovation. Currently we are recruiting for Sales Specialist roles located at our ibm.com Inside Sales Teleweb centre in Dublin. These roles will use the infrastructure in IBM to sell offerings to the customer base in your country, using the web and the phone. The products sold will typically fall into the Hardware, Software or Services category, and on larger sales opportunities may in fact involve a number of these in the same engagement to meet the customer’s needs. We are seeking business development and research program managers who will help in building a new IBM Research and Development lab focused on Smarter Cities. Successful candidates will work with Researchers and managers in the lab to develop research business development strategies to complement our technical strategies, they will manage/ lead assessing, engaging, and liaising with potential and existing partner cities, universities, industrial service providers (such as energy, transport, water, and telecom service providers), and research funding entities, and they will play a critical role in business operations, internal and external communications, and program management across all IBM Research Ireland’s missions. Successful candidates will have a proven track record of business development and program management. Additionally, due to the startup nature of the lab and the deeply technical and scientific mission, successful candidates will have a demonstrated ability to understand the latest technological advances and the expertise of the centre; to assess the market, technology, and gaps for our focus areas (cities, water, transport, energy); and how to bridge between business/customer objectives and our research mission on complex technical and business challenges. The Smarter Cities Technology Centre (SCTC) at IBM’s Dublin Research Laboratory, Ireland is accepting applications for business development, strategy, and program management professionals. We are seeking experienced professionals with demonstrated abilities in business development, business development strategy, and program management in a technical, software-based context. Successful candidates will help in building a new IBM Research and Development lab focused on Smarter Cities, by working with researchers and managers in the lab to develop research business development strategies to complement our technical strategies. They will lead/support assessing, engaging, and liaising with potential and existing partner cities, universities, industrial service providers (such as energy, transport, water, and telecom service providers), other IBM divisions, and external research funding entities. They will play a critical role in business operations, internal and external communications, and program management across all IBM Research and Development -- Ireland’s missions. Successful candidates will have a proven track record of business development and program management in a technical, software-based context. Additionally, due to the startup nature of the lab and the deeply technical and scientific mission, successful candidates will have a demonstrated ability to understand the latest technological advances and the expertise of the centre; to assess the market, technology, and gaps for our focus areas (cities, water, transport, energy); and how to bridge between business/customer objectives and our research mission on complex technical and business challenges. The IBM Europe, Middle East and Africa (EMEA) Legal Department is establishing a ‘Legal Centre of Excellence’ (CoE) in Dublin. The CoE will provide comprehensive contract and commercial related support to IBM business professionals and Attorneys across the EMEA region. The remit will be challenging and broad, encompassing a wide variety of technology agreements including the development, negotiation, analysis and red-lining of software, hardware, financing, business partner and other agreements for IBM’s business throughout the region. This will necessitate working closely and effectively with other members of the IBM EMEA and Global Legal Department. This new organisation will consist of a combination of high caliber law graduates, newly qualified lawyers or lawyers with 1 to 3 years post qualification experience. IBM Research's Next Generation computing Team in Dublin are looking for a talented, experienced and enthusiastic research engineer to join the team. Ideal candidates have a passion for research and software development and in particular developing for cutting edge architecture, parallel and distributed computing and performance critical environments, for e.g. wire-speed application acceleration; this must be be clearly demonstrable by career choices to date e.g research projects choices, research positions and work experience. Candidates must also have demonstrated ability to define research plans, carry out leading research, and publish research results through professional journals, academic conferences, and patents. As a researcher you will be expected to formalise challenging problems, develop new solutions, and work with business & development teams to ensure these solutions have a significant impact. We work together with IBM Research worldwide and top academic partners and expect our researchers to publish results in top-tier conferences and journals. An ideal candidate will be self-starting and able to drive work to conclusion independently, whilst also being part of a wider team including an empathy with testers and documentation writers. Experience as part of an agile software development team is useful. IBM is recruiting a Student to work within a team of professional Project Managers who support the inside sales organisation regarding tool deployment, new mission set up and other ad hoc projects. The Student would be required to help out on a variety of projects and in some cases own small projects themselves. The ideal candidate will be someone who has covered project management as part of their studies, who is organised, has a structured approach is enthusiastic about learning the ibm.com business model and IBM in general. The Sales Specialist student is responsible for selling IBM offerings (hardware, software, services, and industry solutions) directly to customers. Sales specialists are specialized in a set of related offerings known as a disciplines, and are assigned to specific opportunities where they possess the sales and technical expertise required to conduct all phases of the sales cycle. For assigned opportunities, they are responsible for closing the sale and positively influencing customer satisfaction with respect to the engagement and IBM offerings.They have developed an understanding of the sales processes, techniques and tools in the discipline, which include, but are not limited to opportunity / territory management, availability management, network management, application development, cost justification, recovery services, and acquisition management. We in IBM Tivoli have Undergraduate Placement (Cooperative Education) openings for Information Developers/Technical Writers at our Cork & Galway labs. These student information developers will be closely supervised and trained to develop information content and documentation for Tivoli software products. Placement will run from January 2012 to August 2012. We are currently seeking a Data Consultant who is looking for an exciting and challenging career with Accenture - an employer that enables you to make a real difference. We offer a variety of formal and informal training programs at every level to help you acquire and build specialised skills faster to help tailor your career plan. On top of this, we have an extensive benefits package which includes 25 days vacation per year, a gym subsidy, private medical insurance and 3 extra days leave per year for charitable work of your choice. You will be part of a team delivering project solutions in a legacy client network and also for a new data infrastructure. You will need to demonstrate the ability to produce quality deliverables in a high pressure environment with the ability to work both within a team environment and as an individual. We are currently seeking a Data Operations Technical Lead who is looking for a challenging career with Accenture - an employer that enables you to make a real difference. We offer a variety of formal and informal training programs at every level to help you acquire and build specialised skills faster to help tailor your career plan. On top of this, we have an extensive benefits package which includes 30 days vacation per year, a car allowance, variable bonus scheme and private medical insurance. We are currently seeking a Voice Operations Technical Lead who is looking for a challenging career with Accenture - an employer that enables you to make a real difference. Accenture has signed a 5 year deal to provide transform a legacy client network and provide ongoing Infrastructure support for the Global Data and Voice Network servicing 8500 Locations Worldwide. The Lead Voice Engineer role is primarily aimed at deep level operational support of both the legacy Voice and IPT infrastructure devices. within the correct time period. · Interrogate the Oracle Ledgers to assist in queries and errors found. · Assist in producing the VAT Returns for 3 VAT Registrations. Quarterly Returns are completed for both Exel Europe & Tradeteam, and a Bi Monthly Return for the Irish VAT Registration. This includes various reporting analysis to ensure all VAT is paid/reclaimed in the correct VAT quarters, eliminating the risk of Voluntary Disclosures or penalties. · Liaise with the Client's Auditors, HMR&C, Client Tax Department, Sites and the Head Office Staff on a regular basis. · Arrange for VAT Reclaims in relation to Foreign VAT paid. This involves collating original Foreign Invoices and liaising with the External VAT Reclaim Agents in the Netherlands. Any reclaims are processed back to the relevant site. · Ensure all payments are paid accurately and on time to prevent any penalties. This includes all Payments on Account, Voluntary Disclosures and Final VAT Return payments. The Specialist in the Client Marketing Team will help manage the creation and delivery of a Relationship Marketing approach across Accenture's UKI business, reporting into a Senior Manager. The focus for the Client Marketing Team is delivering strategic, bespoke client relationship plans to the UKI's key clients - a combination of end-to-end marketing that uses the very best of Accenture marketing assets. This is a new focus and will be carefully tracked by the business. We are currently seeking an Application Maintenance Team Member who is looking for a challenging career with Accenture - an employer that enables you to make a real difference. Once you have completed your first 4-6 months in the role, you will be required to be on call. You will work on a rota basis where for every 1 week in 4 you will work 24x7x365. There is also an element of travel in this role where you will cover sites across the East of the UK. This makes up 10% of the role. Once you have completed your first 4-6 months in the role, you will be required to be on call. You will work on a rota basis where for every 1 week in 3 you will work 24x7x365. This is an exciting opportunity for an Unix System Administrator Analyst to join our Accenture infrastructure team based on the client site, providing support for all of the networking systems. We are currently seeking a Applications Maintenance Specialist who is looking for an exciting and challenging career with Accenture - an employer that enables you to make a real difference. Choose Accenture for an IT career, where the variety of opportunities and challenges allows you to make a difference every day. A place where you can develop your expertise working with the best people worldwide in a dynamic, team-focused environment. The only place where you can use your skills to provide high-quality, long-term services for our Global Fortune 500 clients, helping them achieve high performance. If this is your idea of a typical working day, then Accenture is the place to be. The UKI Corporate Citizenship Community Support Analyst supports delivery of UKI Corporate Community Investment activities across the UK & Ireland, working as part of the UKI Corporate Citizenship team. We are currently seeking a part time Operations Administrator who is looking for an exciting and challenging career with Accenture - an employer that enables you to make a real difference. Choose Accenture for an exciting career, where the variety of opportunities and challenges allows you to make a difference every day. A place where you can develop your expertise working with the best people worldwide in a dynamic, team-focused environment. The only place where you can use your skills to provide high-quality, long-term services for our Global Fortune 500 clients, helping them achieve high performance. If this is your idea of a typical working day, then Accenture is the place to be. Choose a career at Accenture and enjoy an innovative environment where challenging and interesting work is part of daily life. A career in Consulting is varied and stimulating because each project presents a new challenge and will give you exposure to new clients, business issues, technologies and people. We need people who are able to challenge conventional thought, offer unique perspectives and conceive more innovative solutions for our clients. We are currently seeking a Transaction Processing Representative who is looking for an exciting and challenging career with Accenture - an employer that enables you to make a real difference. Minimum secondary education, preferably diploma level, ideally with 3-5 years customer service experience. Supervisory experience of at least 1 year would be an advantage. Minimum of 1 year airline experience is preferred. Successful candidate will supervise the operation delivering an optimum guest experience at all ‘touch points’. Acts as a senior point of liaison for third party customer service staff ensuring that Etihad Airways ground handling requirements and customer service standards are met at all times. Supervisory experience of at least 1 year would be an advantage. Minimum of 1 year airline experience is preferred. To achieve profitable sales revenue to an agreed target for a sales territory and/or portfolio of clients, to promote the Etihad brand, products and services through the primary distribution channels available and to negotiate & account manage commercial agreements with top national accounts. Four years airline or travel industry experience with a minimum of 2 years in a sales role. Self starter with strong planning, presentation, communication, and interpersonal skills. To drive profitable growth of the business through achievement of agreed sales and distribution targets and the implementation and maintenance of agreed in store standards across an existing customer base. Implementation and maintenance of defined trade merchandising standards. Proactively build and maintain favourable and effective relationships with customers and key stakeholders including the CIC. Exercise vigilance and accountability for issues by ensuring that prompt action is taken to resolve issues and realise opportunities. Actively seek business development opportunities and counter competitive activity. Achievement of agreed distribution, volume, sales, profit, market share and merchandising targets across customer base. Sales and profitability growth through execution of in store selling activities. Ensure management of trade spend at or below agreed contract level. Ensure timely and effective execution of national and regional priorities as agreed. Ensure that company assets are effectively deployed, well maintained and accounted for as per policy. Implementation of and compliance to company policies and approved practises. Actively participate in team meetings and contribute to a positive team culture including acting as a mentor/buddy to new team members where appropriate. Identify and develop continuous improvements with the business unit. In this position you will be responsible for the manufacture of pilot scale products in the Dunedin Pilot Plant. This will include manufacturing new products and working with new processes whilst liaising with R&D and manufacturing colleagues to scale up to the plant. � Manufacture of bench top and pilot scale samples to the highest quality for consumer studies. � Abide by all company policies and procedures. � Developing manufacturing procedures for lab, pilot and factory scale. � Generating and documenting making records for all pilot plant work. � Managing pilot plant documentation systems for R&D. � Managing the maintenance and calibration schedule for lab and Pilot plant equipment. � Playing a key role in 5S systems in the pilot plant. � Comply with all site GMP (good manufacturing practice) and EHS (environment, health and safety) policies and directions. 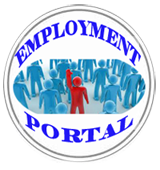 � Observe and maintain the company�s financial, business and human resources policies and procedures. In Kraft Foods we work together to create brands people love. You will provide the role of Lab Technician to support the Consumer Science team in planning, executing and reporting of general sensory testing activities, and more specifically the trained descriptive panel program at the Ringwood site. Also this role will ensure the management of sensory facility resources. This role will primarily be based in Ringwood, although travel in metropolitan Melbourne may be required at times to support other categories across Kraft R&D. This role is responsible for managing the Asia Pacific microbiology group and providing leadership in the areas of Microbiology and Food Safety to develop and implement global and local policies and support R& D & Quality and business units across Asia Pacific. Apply sound technical judgement and risk assessment with regard to food safety and quality to product development and operations. Create and maintain a high standard of technical excellence for the microbiology laboratory. Define, plan and execute project objectives that support Kraft Foods and regional business and technology needs. Responsible for allocation of resources optimally to ensure project and program delivery/excellence. Responsible for technical and professional development of staff and administration. Provide input to management on strategic direction of projects. Effectively communicate and defend results and recommendations to functional management. Provide linkage and leadership to marketing/operations on projects/programs and acts as a technical leader on cross functional teams. Ensure regulatory and KFI standards are implemented and maintained. Maintain focus on safety and overall safety performance. The Sales Office Administrator is responsible for supporting the State Manager and their team, by providing secretarial and administrative support. The Sales Office Administrator provides effective, timely and up to date information to their key stakeholders; acts as key administration support for the sales team; and coordinates meetings and events. Full clerical, administrative, and general office duties of a responsible and confidential nature for State Manager and their respective teams. Managing State Sales Manager�s diaries, if required, to make/co-ordinate appointments, book rooms and notify attendees. Makes all travel arrangements for team in line with preferred suppliers/policy. Coordinate conferences and meetings including sourcing the venue according to guidelines, organising catering, arranging invitations, organising set up, ordering product and updating the agenda. Prepares special reports, gathering, and summarising data. This may include complex correspondence and presentations including business reviews. Ensure the adherence to HR policies in coordinating the return of company property in the instance of a termination of a team member at site or co-ordination of an induction for a new team member. The R&D process engineer (Candy) will drive the implementation of the Technology Program in the Candy category. This role will be key to delivering business value by ensuring most efficient processes are used for the manufacture of existing and new candy products. Packaging Development projects, including Growth projects, Value Optimisation initiatives, Quality Improvement initiatives and general Brand Maintenance. The Packaging Technologist role is responsible for implementing The person will be involved in planning and implementing projects, analysing results and beginning to translate those results into possible business solutions. The person is required to be an active member of project teams and liaise with other groups , e.g. Business development, Marketing, Procurement and Category Development to ensure R&D�s role fits in with project timelines. Identifying and executing opportunities that deliver cost savings across all categories. Taking a pivotal role in the selection of materials and packaging design and construction into all projects. � Develop and maintain professional business relationships with key contacts at FSA. � Work closely with the Field Sales team to ensure head office activity is implemented at store level where appropriate and compliance is reported on a weekly basis. � Identify competitor activity within account and opportunities to counter their effectiveness. � Identify and develop continuous improvements with the business unit. � Provide back-up to the FSA Account Manager, including cover during illness and annual leave. The Field Sales Account Executive � has dual accountabilities. Field Sales management - is expected to lead, develop, coach and manage the Tasmanian Sales team. Tasmanian Impulse wholesalers and together work on a program to deliver growth, and State Wholesale Cash N Carry develop state based promotional plans to drive and deliver growth and return on investment. This role includes coordinating the sales team with consistent communication of the National Channel program. It also includes managing State wholesalers, their trading term agreements, maximising in store opportunities as well as building State based opportunities. This role is also responsible for strong execution of National plans in the State. The role will work collaboratively with the Tasmania State Account Executive. Nokia Emerging Devices team is looking for individuals with a proven track record of success. We are looking for individuals with the vision to go where others would not go. We are looking for individuals with the courage to do what others would not do. We are looking for individuals with the endurance to win the battles that others could not win. The Business Development Manager, Operator Accounts is responsible for engagement and business development activities to emerging operator accounts in Nokia North America. The Nokia Product Manager is responsible for launch preparation, readiness and product management of key Nokia Gear and Accessories within the North American market. A broad perspective of Consumer Internet Services and Mobile ecosystems. Systematically developing Nokia's relationship network with strategic decision makers at key ecosystem partner companies. Understanding Nokia and Partner key business drivers to create and implement mutual value adding business- and partnering strategies, which primarily are long term and strategic in nature. Leading and supporting partnering activities from white space identification to signing deals and managing execution on a portfolio level. Effectively plan, coordinate and implement the strategic partnering goals across Nokia Business Units and Geographies. Nokia Location & Commerce unit will build and monetize unique location experiences for great mobile products, the navigation industry and the automotive market. Its mission is both, to help people on the move and to explore their surroundings, independent of how they travel, be it private vehicle, on foot or public transportation. The L&C platform is a core enabling unit, whose products span the Map, Places and Search platforms, including APIs to enable 3rd party offering. The unit is responsible for delivery of platform, APIs, and infrastructure to Nokia applications, target industry customers and developers at large, and ultimately responsible for creating a viable platform ecosystem around Nokia L&C offerings. Management of the Hala Abu Dhabi business focused on the sale of wholesale and inbound products and services to drive the growth of Hala Abu Dhabi and the development of profitable ancillary businesses. The role will develop and create a world class DMC to service all tourism sector requirements and enhance the prestige of the emirate of Abu Dhabi as a leading, high quality tourism destination. The role will be a major contributor to the development of Abu Dhabi’s tourism infrastructure to provide a full range of tourism services and market these proactively in key source markets. A high standard of education preferably to tertiary level with a Degree from a recognized international university or alternatively a commensurate level of work experience. To design, develop and implement of local area network .